Last week we were in this small coffee shop runned by 2 sisters and while hubby and I was enjoying our coffee, i was telling to him that is what i would like to have one day a small coffee shop where i can sell the food i cook and then earn money . Sandeepa, funny you mention this topic because I had been thinking about this 2 days ago. The fact that I had to stay back late at work and not being able to spend enough time with DS trigged me to think about this. If we did not have to worry about money, home, mortgage, education then I would settle down being a school teacher. School teacher for kids age between 1-5 (notice the age restriction? ).Love that age when the kids are so innocent, have little minds of their own, they are not judgemental, hypocritical etc. Life of a Wall streeter, is a big NO for me. I cannot handle that kind of stress or ups and down's. Not sure about life on the farm either. I enjoy cauliflower too and loved the addition og yogurt in it. Sandeepa, that is my dream too, ow. I have seen farm life, close quarters and it is definitely not easy to make a living. It is hard tough work. Farm life is quaint and peaceful if you make a living/have a living through other means. All four of us adore cauliflower and yours looks so lovely. As for the idyllic setting, at the moment, I'm quite happy as I am, I think, touchwood! by the way ur gobhi looks delicious!hubby hates any thing with yogurt gravy, this might be a gud one to make him change his mind.. I have always dreamed of living in a farmhouse surrounded by greenery! And the gobi looks yummy with the yougurt sauce. I am happy with the life I am leading now. Will be happier if there were no money issues and NO health problems. Farm life seems glorious but not true- I don't think it will work out for our kids! Wall street definetly stressful needs Yoga for long run! After all no limit for dreaming huh? I am happy where I am. The gobi with biryani masala sounds cool! I think farm life is glamorous only from a distance - the scenery, the pastoral scene, at close quarters, you've gotta smell poop of hen, cow, etc, work amidst all that, clean it every day. Movies and books make it seem that way too. I'm not sure how many of us would last. I dream of a life where I don't have to work for a living but have enough to live a life of luxury and travel - doesn't matter if it's countryside or city, I need bathrooms and transport. Summer or winter, i am glad that i get to enjoy cauliflower year round here :). I make a similar preparation with dahi. I must try it with whole spices, that would be one richly aromatic dish! 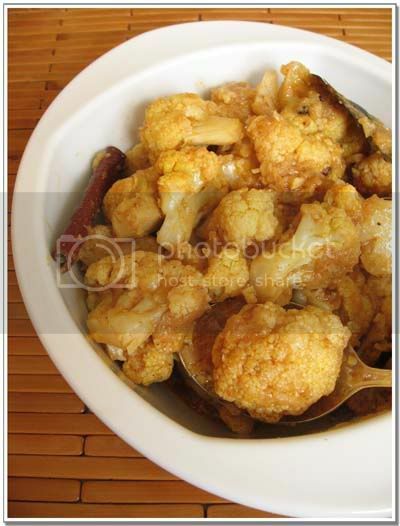 cauliflowers are lovely veggies to cherish during winter. this recipe sounds and looks good too. Cauliflower in yogurts is a totally new recipe...sounds yummm. b/n shared an award with you...please feel free to collect them. tried this dish yday, turned out yum. I love cauliflowers, however it is prepared!! never tried with yoghurt though, this is a new way of preparation for me!! very nice recipe!! phew, your post makes me think deep over things.. have a nice day!! Tried it out today. Wonderful recipe using curd and cauliflower and tasted so different from the normal phulkopir curry. hi! nice curry, I might just take the marinated cauliflower and put them on skewers and roast it. I agree with you. Fulkopi is one of my favourite veggie too. Your recipe looks yummy and easy, will try it out tonight. BTW i love to live in smaller towns. At present I live in Mount Abu and i feel that i don't miss the hustle bustle of bigger cities. I am content sitting in my spacious garden with my pet at my feet. I do not feel the need to run and earn. I tried doi fulkopi recipe. I did a small variation to it, added little poppy seed paste and fried the cauliflower before cooking. It tasted good. I tried many other recipes from your blog. Thanks for posting such nice dishes. You are too good! I tried your Fulkopi today, it came out very nice. I added a little bit of tandoori masala and my homemade biriyani masala. Forgot the bay leaf but overall it was very tasty. I don't like fulkopi here in the US, so any interesting recipe is a great help. I used garam masala ... it tasted like burned masala. That is ok. It happens :) Why did the Garam Masala taste like burned ? Did you make your own ? Hey, tried your recipe today. The husband couldn't sop gushing about it. Thanks!! Hi, Been following your blog for a while and love the dishes I made so far. Do you think I could use frozen cauliflower florets instead of fresh for this recipe? Do I need to make any changes due to that? I have never used frozen cauliflower florets except the ones which come as a mix with other veggies and never in this dish. Why don't you try and see ? The recipe is quite interest Ing sure to try it. Cook till the cauliflower is just done.If you need to add more water to cook the cauliflower add some but this dish does not have a flowing gravy so be aware. Taste for seasonings and adjust. Ar bhajar stage ta bhalo hole ei last step ta taratari hobe. Noyto dhaka diye cook koro. Amrita, thanks. your version is great too. 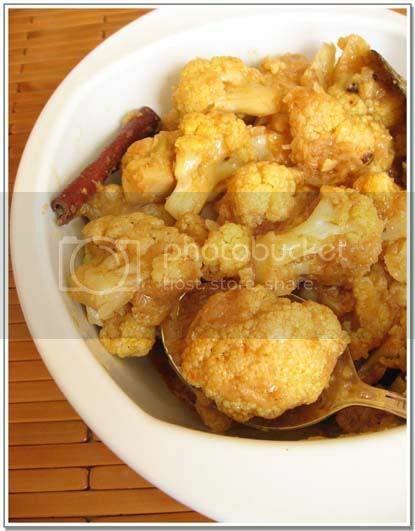 Sandeepa, I tried this recipe - once with cauli and once with broccoli, both came out really well. I fried the onions before making a paste (I remember you mentioned it somewhere that it gets bitter otherwise?). Hubby was sad when the dish got over, so definitely a hit recipe! Thank you for sharing. Sandeepa, I LOVE your blog! 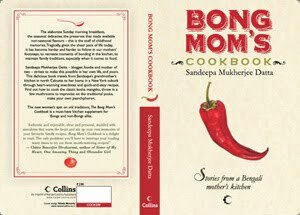 I am pretty late here but I have been following your recipes for few posts and I love the way the recipes turn out by following exactly all the details :) thanks for being here for all authentic bengali style recipes, close to what your mom and grandmom will make .. that is what I look for by going through your posts. I want to do this recipe but was wondering if this will be good if I added prawn/shrimp? Also its summer now am planning this for lunch with Hilsa bhaape, mutton curry moong dal, and rice.